Discussion in 'Android Devices' started by nader2013, Aug 11, 2010. 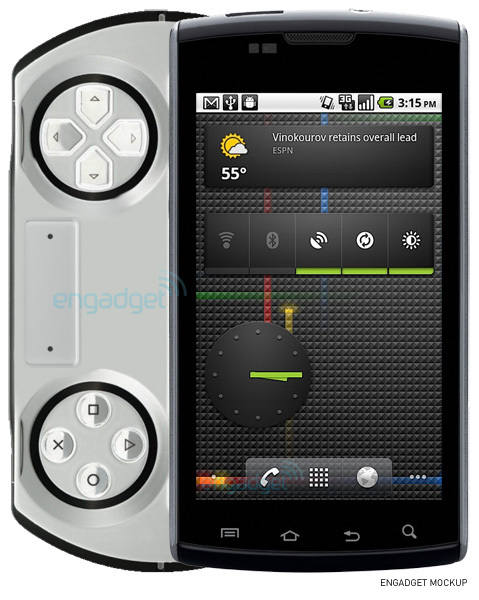 Engadget's mockup, a cross between a psp go and a samsung Captivate. That would be pretty awesome. I'd buy it. But the battery life would be so pathetic. With all the PSX and PSP games. Not to mention the phone...that would also take quite a bit of battery power. Coming to Verizon - snowballs chance in hell. SonyEricsson hasn't made a cdma phone for the U.S. in years and said they don't plan to again. I can imagine. I get ~2 hours battery playing psx4droid. Battery life might be okay. Rumor has it Sony has an Android phone that can record 720p for 12 hours straight without dying. That's awesome! I would totally love to own a hybrid smart phone / portable gaming device. Now THAT is a nice mock-up. ATTN Sony Ericsson: Note the two analog sticks. Yeah, I would much prefer analog sticks, nubs, whatever....to their idea of a touchpad. Touch pad just doesn't offer the same tactile feel and precision of analog input like that. 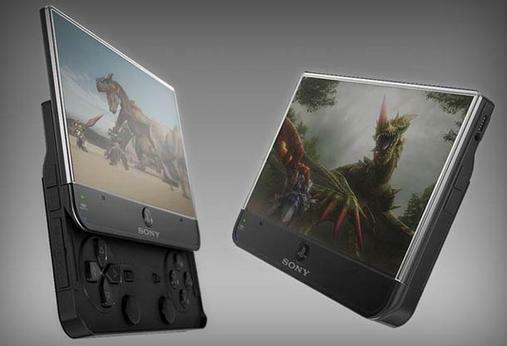 I've seen a few other mock-ups that are even better, just do a google search for "playstation phone". What I would really like to see is a strongly supported downloadable library of games and controls that are on par with something like the PSPgo and have all the functionality of an android smartphone. I bought a game gripper for my droid and can play emu games pretty well with it and I would definitely invest in a dedicated gaming/phone device. I honestly see this going to all carriers. Isn't Verizon's new LTE Network going to use SIM cards? I could not imagine Sony releasing something and Iphone'n themselves to only AT&T or T-Mobile who use SIM. That is simply Jackassery. It would mean that soooo many people couldn't use it as a phone, ruining possible market share. Here's what I would like to see: Release the phone as a gaming console for $300 and make it able to be activated on any network. Is that in the cards? Probably not. But man, that would mean that the phone could be on anyones network without contract. If you made the PSP/Android or PSP2 system and only made it available if you signed a contract with a wireless carrier, then you have already lost. DIdn't they try something like this years ago....and it tanked horribly. Yeah. I remember that back in the day when I was in 7th grade. It was cool and all, but it looked really weird when you were holding it like a regular phone and talking on it. Realistically, I don't really see how it would be possible to cram in all of the extra hardware that a PSP needs, without making the thing huge. Not to mention how big the slide-out portion would probably have to be. Even if they manage to make one that isn't humongous, then you've got to deal with PSP games on a a smaller screen. But hey - anythings possible. If anything actually becomes of this, it would be kind of surprising, considering Sony's continued stance against PSP's running anything other than official software. I am thinking of buying a new PSP go having elegant skin soon, So could anyone here please suggest me some websites providing good psp go skins? Sony psp go skins features an ultra-high resolution full-color design that is printed on premium grade adhesive-backed cast vinyl with UV resistant inks and then covered with a clear protective layer for ultimate durability. All iStyles Skins use a patented repositionable and removable adhesive backing for fast, easy and accurate installation and goo-free removal.